Place all ingredients except the Reddi-wip into a blender and blend until smooth. Pour into two glasses and add a tablespoon of Reddi-wip to the top of each. Sprinkle with additional pumpkin pie spice if desired. 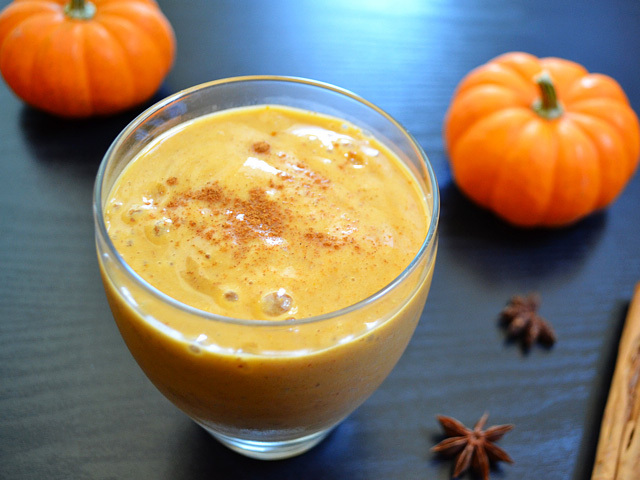 *If you choose not to use the Weight Watchers recipe builder to calculate your smoothie (in which case the banana and pumpkin are free) each serving of the smoothie will be 3 WW PointsPlus.